We have this super adorable boutique downtown, it's a perfect combination of city and country (since we are in South Dakota). There is no doubt I am a city gal, I have longed to move to a bigger city for awhile now however, a huge part of me will always love the wide open spaces. The folks in the midwest are all about keeping things simple, a graphic tee is the perfect way to do that. I on the other hand like anything but simple (when it comes to fashion). 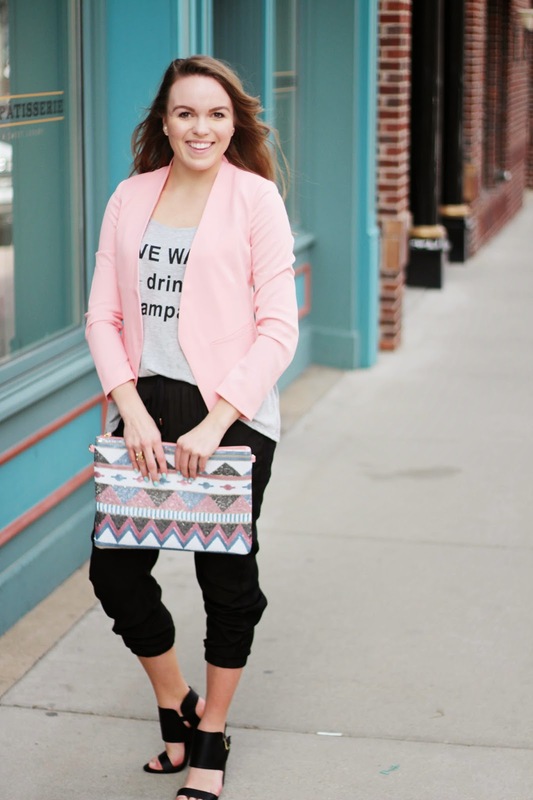 I loved this clutch and the see-through side panel on the jogger pant, so fun! Have you tried a jogger pant yet? Let me know what you think! 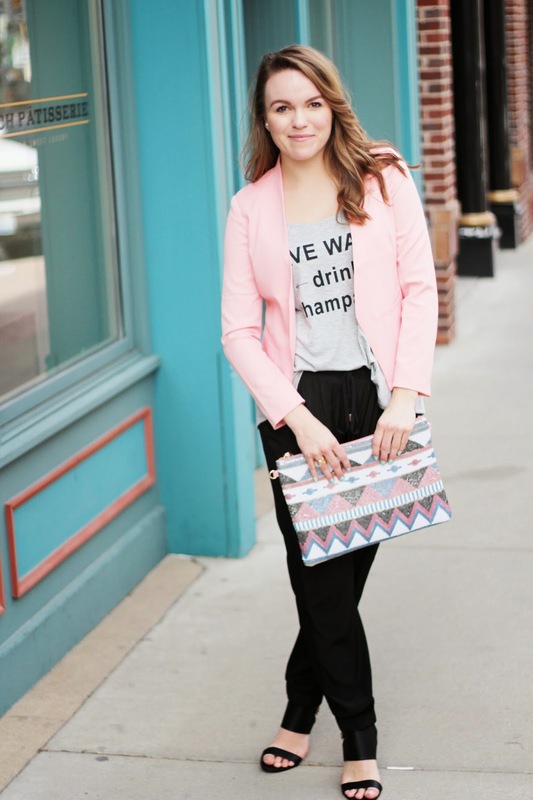 Jogger Pant // Save Water, Drink Champagne Tank // Blazer // Sequin Clutch // Black Heel // Essie's "Blossom Dandy"
When the other items go up online I will let you know! Love the whole outfit! I probably couldn't pull it off with my body type, but you look fab! SUCH a cute outfit! 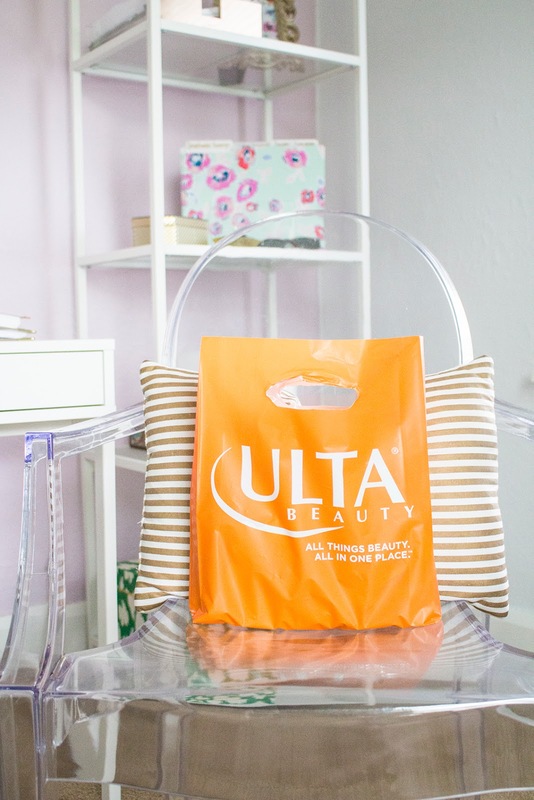 That bag is adorable! I looooove this outfit. Especially I feel in areas like the Dakotas or Wyoming (where I'm from!) 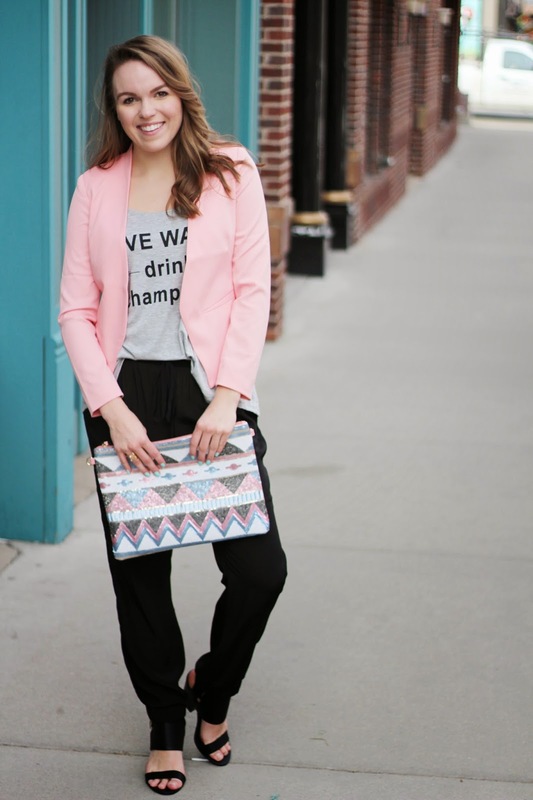 business casual is a little more casual and you can play around and have fun with it. 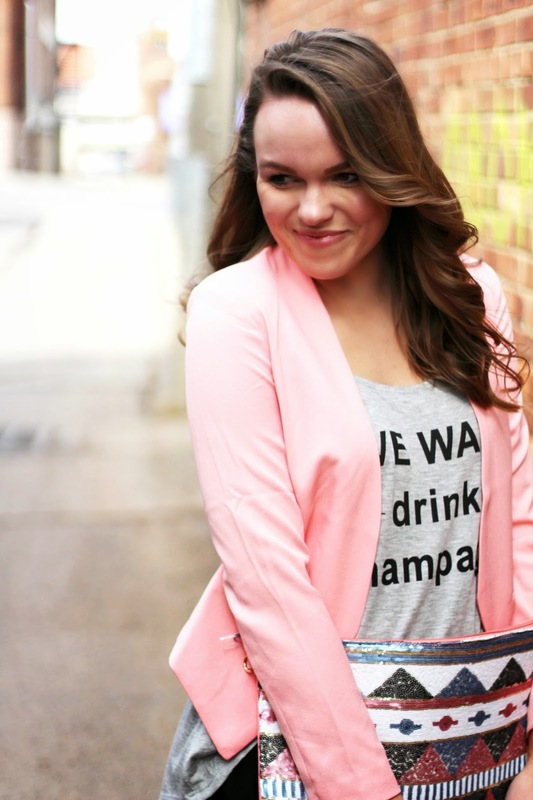 So cute, and the pink blazer is a pop of spring! Thanks Tay!! 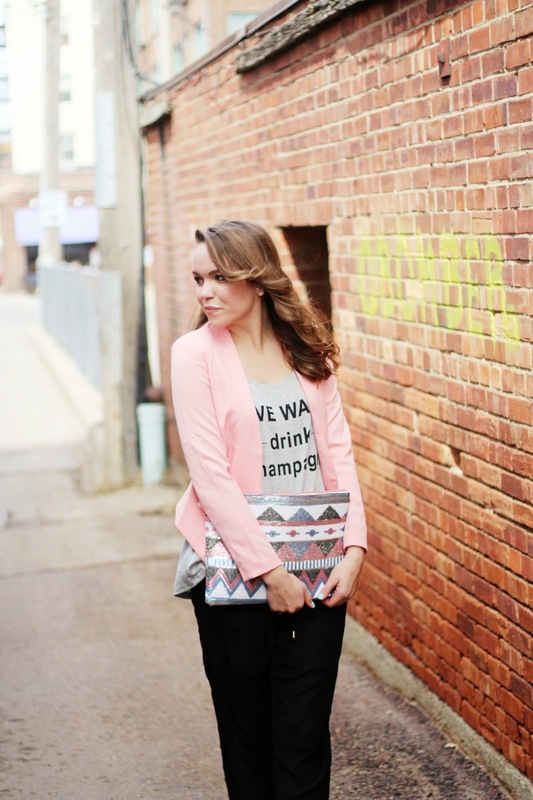 I agree that it's good to play around with business casual and have a little fuN! Ha! I prefer Champagne over wine…but don't drink it often! I am calling your bluff! I bet you would look fabulous! !